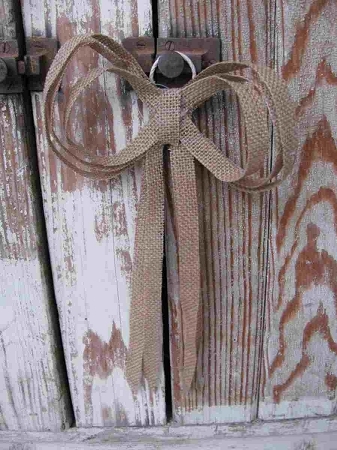 Burlap Pre-Made Bow Decoration. Are you in love with burlap? I love it and it's a great way to add texture and warmth and fits in with so many decorating styles. This is a pre-made bow. Add to wreaths, baskets, arrangements and more. Great for the holidays as well. Size is 6 1/2" x 11"